LET'S START WITH THE FACTS! 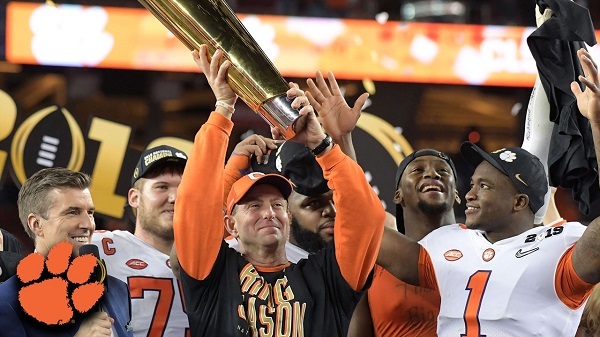 Congratulations to the Clemson Tigers for winning the 2018 College Football National Championship! Clemson beat Alabama 44-16 on January 7, 2019. Coach Dabo Swinney’s second National Championship as head coach and Clemson’s third: 1981. 2016, and 2018. Clemson had 347 passing yards, while Alabama had 295 and Clemson rushed for 135 yards, while Alabama rushed for 148. Alabama had two costly turnovers, which resulted in them playing catch up the whole game. Clemson shut out the Crimson Tide in the second half.